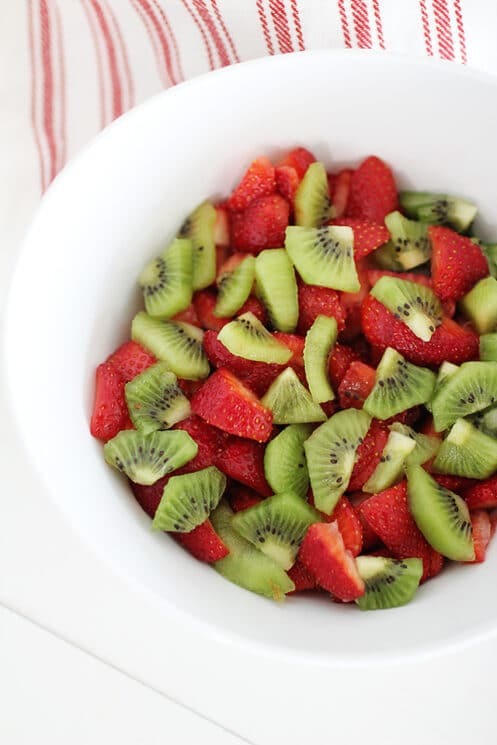 Cut strawberries into quarters. 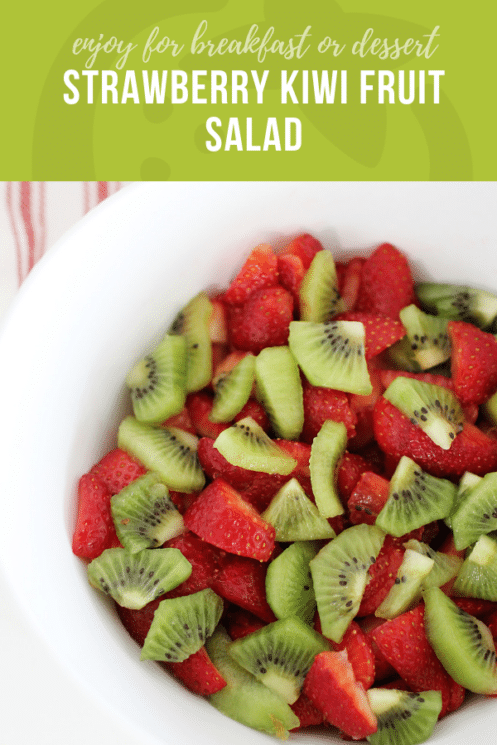 Peel and slice kiwi. 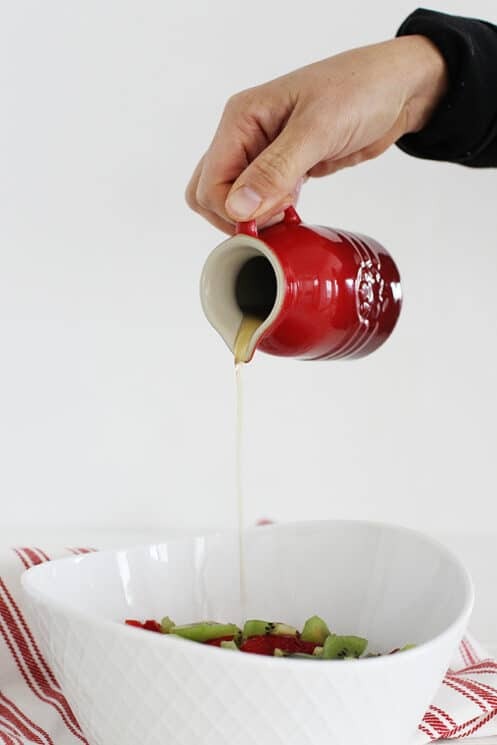 Whisk together the honey and lime juice. 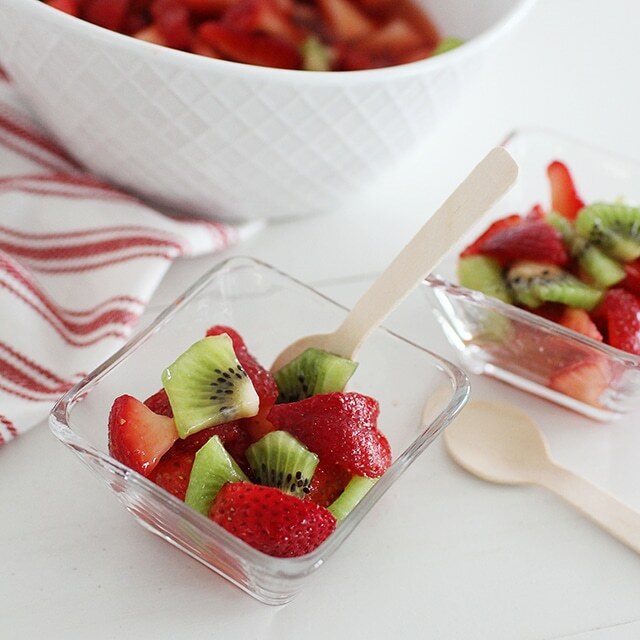 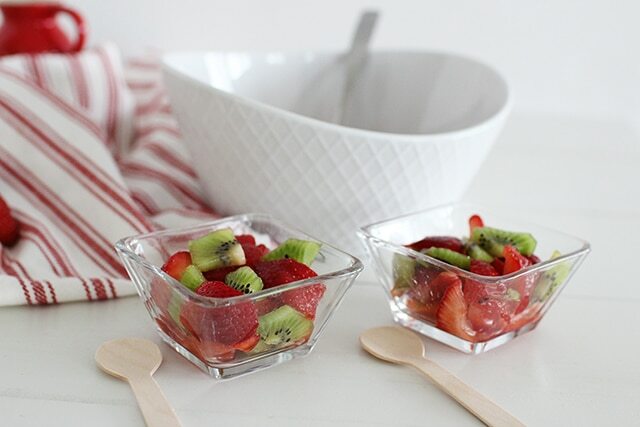 Drizzle over fruit and serve alone or with a meal.